Oukitel devices have been noted for their unmatched durability and strong battery life, some videos have popped up in recent times where some Oukitel phones have been used to do some crazy things like driving nail in and out of woods. 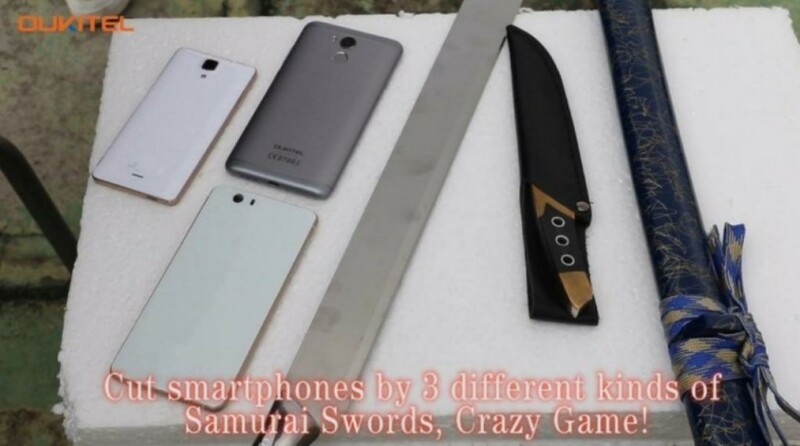 In this new video, these guys try to cut OUKITEL U15 PRO and another 4 different smartphons with the knife, Samurai Sword and Samurai Long Sword. Unbelievable! OUKITEL U15 PRO is probably the craziest durable smartphone. It’s really amazing! you can see that OUKITEL K10000 will be used as hammer to knock into and out nails again here. You can buy the U15 Pro with the bottom price of $119.99 right now, limited in stock: Click Here to buy now.